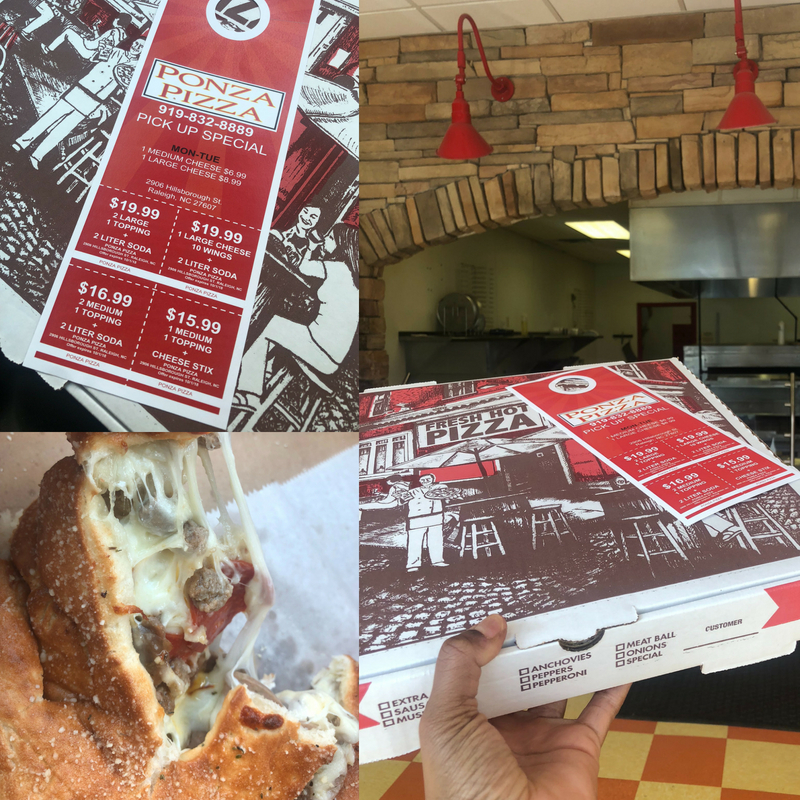 One of the newest spots on Hillsborough Street, Ponza Pizza recently opened near the Dixie Trail roundabout. Part of the Slice family, it's the perfect carryout location to cater to your #slicelife needs! 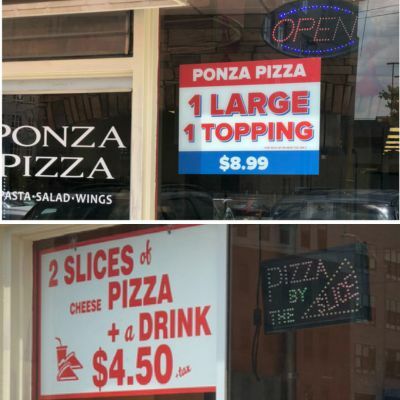 From veggie slices to buffalo chicken pizza, Ponza bakes it all. They also have numerous pastas, such as baked ziti and manicotti, as well as handcrafted subs, like buffalo chicken and tuna. You can also walk in and place an order. When I walked in to Ponza Pizza, the smell of baked dough and garlic met me with a warm hello. I ordered the the holy grail of calzone! 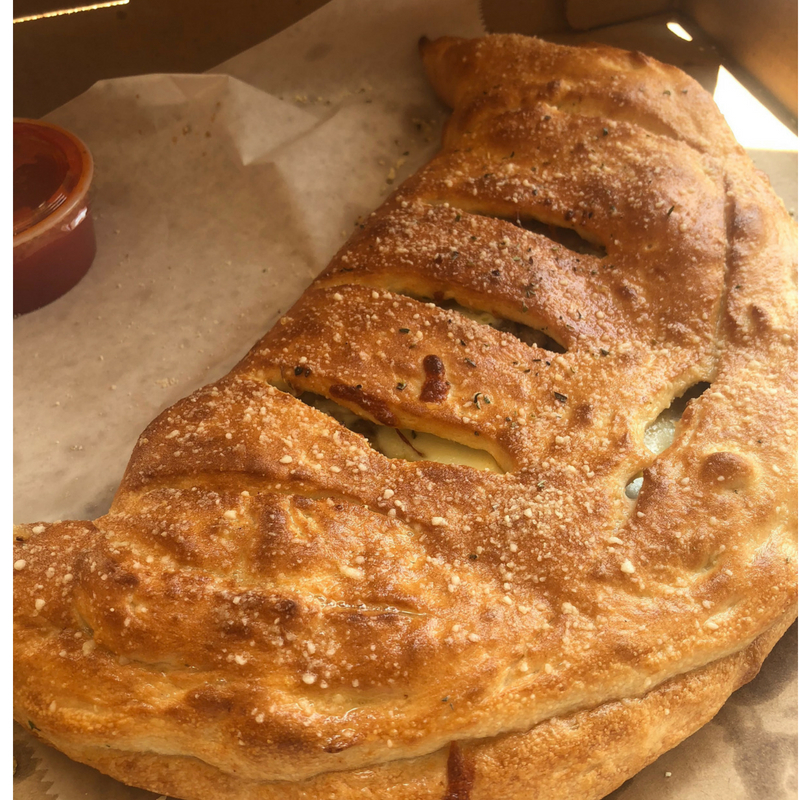 It had sliced Italian sausage, pepperoni, rolled Italian sausage, shredded mozzarella and creamy ricotta - it was like a stuffed garlic knot! It was perfect for lunch and was ready in less than ten minutes, baked to perfection! It was like a movie scene when it was torn apart, the cheese stretched so far!! I will certainly be back! Thanks Ponza Pizza!